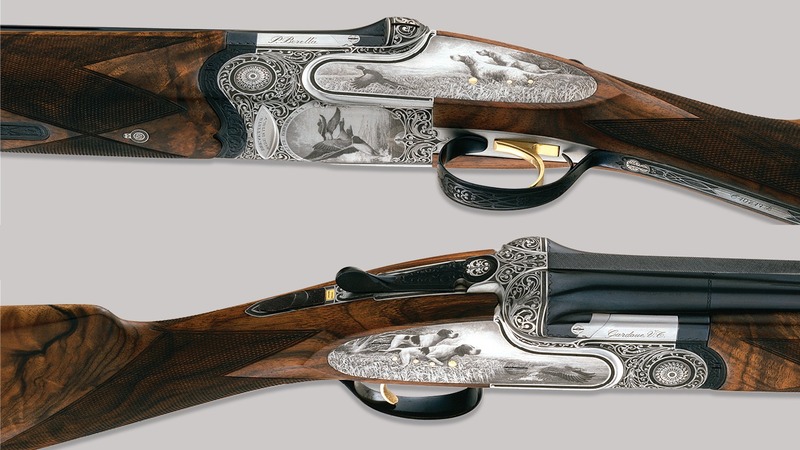 The artistry of embellishing firearms is one of the most challenging and skilled of all artistic endeavors. With a rich history that reaches back to the Medieval and Renaissance eras to the Modern guns of today, the design process involves collaboration among sculptors of steel and wood, goldsmiths, silversmiths and engravers. Work by talented artisans from the United States, United Kingdom and Europe are showcased in this rare presentation drawn from the internationally-renowned Robert M. Lee Collection.